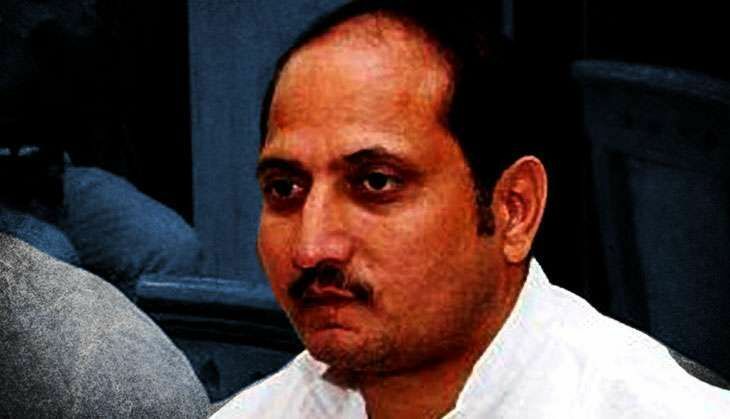 Muzaffarnagar accused BJP MLA Suresh Rana. Suresh Rana, the Bharatiya Janata Party MLA from Thana Bhawan constituency in Uttar Pradesh, is no stranger to controversies. His first major brush with infamy came in 2013, when he was named as one of accused in the Muzaffarnagar riots. Since then, his image as the local Hindutva icon has been shored up thanks to his occasional utterings, which, his opponents have complained, amounts to hate speech. Like the latest statement, where he said that if he wins, there would be curfew from Deoband to Moradabad - something which led the UP Police to slap a case of inciting hatred on him. His aides, on the other hand, claim that the party's national president, Amit Shah, during his visit to Thana Bhawan on Sunday, asked Rana to campaign on 100 seats after the first phase, a clear signal on how important he is to the BJP's campaign strategy in the state. Rana won the last elections narrowly, by a few hundred votes. This election is even more challenging. However, Rana's team is confident, since both the BSP and the RLD have fielded Muslim candidates, while the SP-Congress combine, to bolster its progressive credentials, has fielded Professor Sudheer Panwar, a former member of the UP Planning Commission, handpicked by Akhilesh Yadav, as its candidate. The biggest issue is the amount of work done by the Narendra Modi government in the 30 months of its tenure. The number of roads that have been built, schemes for the common man like Ujjwala Yojana or the Jan Dhan Yojana, that's a big enough issue in itself. There is no village or city in western UP which hasn't seen a big exodus. The reason is extortion, fear, goondaism, mafia. Such an atmosphere has been created in the villages and even in big cities that people have had to leave their homes. We have promised that if BJP comes to power, all those responsible for this exodus will have to leave UP. Who are the people responsible? Are you suggesting that any political party is involved? Under patronage from the Samajwadi Party, some people have spread tremendous fear. All those goondas who were born because of the SP-BSP nexus will be thrown out. It's not about polarisation. It is about issues. I speak the truth, which anyway, has to be said. I speak the truth; if people think it is communal language, so be it. When I said there has been an exodus from Kairana, it was true. When I said an AK-47 had been looted from Deoband, that was true. When I said that in Moradabad girls, cannot walk on the streets without fear, is also true. In Bareilly, girls wrote to the CM that they want security to even go to school. If all of this is dubbed communal, I can't help it. As far as my role is concerned, the government slapped the NSA on us. The High Court quashed that, saying there is no evidence against us, no crime is made out. It is clear that to harass us, the state government slapped the NSA on us. The BJP believes in 'sabka saath,sabka vikas', not just the betterment of one particular community. As far as Jats are concerned, who are primarily agriculturists, Modi's policy on sugarcane, on sugar, has ensured that all sugar mills are running. If it were the UPA government, all of them would have been shut. The excitement you are seeing (points to crowd waiting for him) shows that tremendous work has happened under Modi's rule. The alliance has been there for many years. On the issue of price rise, the SP supported the Congress in Parliament during the UPA-2 regime. Be it land acquisition, support to terrorists, when a lot of statements from both parties were identical, it shows the alliance is not new. In UP, both these parties are running scared. All the leaders, including Mayawati, Rahul Gandhi and Akhilesh Yadav, have been talking of stopping the BJP. If they are already saying that, it shows they believe BJP is going to form the next government. And even if all three parties come together, they won't be able to stop the BJP.